Great beer is often enhanced by its context, be that a scorching outdoor concert or a prime patio, the latter embraced with gusto by Ottawans. Perhaps it’s the pent-up demand for warmth after months of winter; maybe it’s the knack federal employees have for sneaking out early on fair-weather days for a post-work pint. Whatever the reason, you’ll want to try these three refreshing styles that pair best with summer. 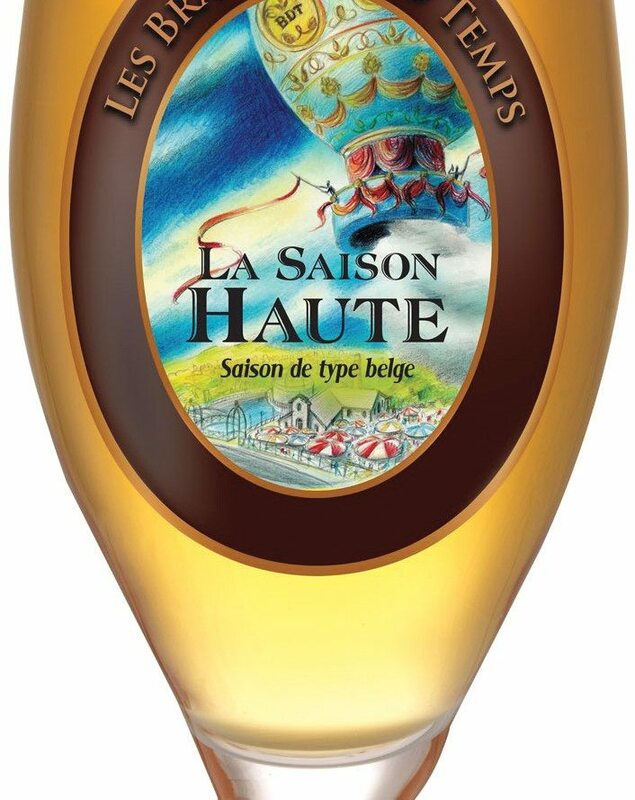 ’Tis the saison for this refreshing Belgian-style summer ale, traditionally brewed for farmhands to help quench their thirst after a hot day of work in the field. Exceptionally refreshing and light, it has a high carbonation that enhances the wide flavour profile, which can include fruit, citrus, grass, or spice. Serious beer nerds might want to pick up a bottle with a high ABV (alcohol by volume) and cellar a bottle for a complex future treat. This sun-bathing-inspired brew is perfect for those just getting their feet wet with this style. Nu Saison glistens pale straw in colour with a faint white head. A mild aroma of citrus is complemented by gentle malt sharpness on the finish. This is one of BTP’s rotating brews, so be sure to grab a taste as soon as it hits their shelves. BDT brews both a winter and a summer saison to ensure you’re always in fashion. This complex summer beauty tantalizes the senses with a floral nose that includes orange and lemon citrus. Slight pepper and juniper accents break through the fresh grain tartness. At 8.5 percent, this is a masterpiece best explored at a leisurely pace — and BDT has the perfect waterside patio setting to do just that. A modern twist on the traditional style, this beer packs plenty of flavour, with fruity citrus and tart dryness. While marmalade from Spread the Love was used in early batches, the gelling agents of pectin made for some interesting consistency once brewed at the industrial level. DCBC now brews this beer with Bridgehead Earl Grey tea and fresh orange zest — visit the freshest-smelling brewery in town on a zesting day for proof! I’m being liberal in my categorization, but no matter what you call this style of beer (wheat beer, white beer, witbier, hefeweizen …), it is an efficient German thirst-quencher. Tracing its roots to Bavaria, wheat beer was originally brewed from local wheat instead of the traditional all barley. This is an unfiltered ale with a cloudy appearance often described as “white.” A special strain of yeast is responsible for the banana and clove notes. You’ve likely witnessed this murky ale in your local watering hole, served with a slice of orange riding the rim. Orange citrus is already common in the flavour profile of this style, so the orange slice is more window dressing than anything. Therefore the choice is yours: do you fruit the beer? This is one of the more widely available wit beers, and for good reason — it’s tasty. Notes of citrus, coriander, banana, and slight clove are all present in this quenching brew, which won bronze at the 2008 World Beer Cup. A lighter brew, this winner pairs best with mild foods and cheeses. I don’t know if it’s my blue crush on Kate Bosworth, but this dual-eyed beauty from Beau’s takes me to my personal beach. This unique Hofenweisse provides a gorgeous citrus bouquet with a tempting spicy clove and just the right amount of bitterness. Grab a shady spot out on the patio and relax into a pint or two. There is something about the combination of blueberries and wheat beer that’s a real crowd-pleaser. While some breweries go so far as to serve this style with a fistful of blueberries bobbing up and down in your murky golden beverage, ABC opts for a more subtle approach — robust wheat flavour delicately accented with blueberry notes. I’m no dietitian, but I believe blueberries are rich in antioxidants, making this a guilt-free pint. It’s true. Lagers do have more fun. Defined by my father as “beer,” a lager is actually a German style of beer that is fermented and conditioned at low temperatures. Looking at the top 10 sellers at The Beer Store, it’s easy to see where Pops was led astray — nine of them are lagers. Many craft breweries have differen-tiated themselves by creating beers as far from the mainstream as possible, alienating some beer consumers. Let me bring those spurned drinkers back into the fold, because craft breweries also provide some clean, crisp classics that are similar to the standard lager, including close cousins like the blonde ale or kölsch. 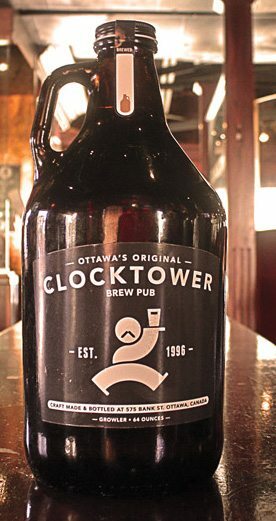 A pale, crisp offering from a local institution, the Kölsch is Clocktower’s lightest brew. Mild notes of bready grains and subtle bitterness make this an easy companion in the summer sun. Since Clocktower has four patios across the city, you can really maximize your bronzing. Plus, who doesn’t like ordering a beer spelled with an umlaut? I have a personal fondness for Natural Blonde, the gateway brew that opened my eyes to the world of craft beer. It’s a light sessionable brew with a soft, malty caramel touch. The wavy river pour line on the Kichesippi pints makes you mindful of when you need to order a second. Consider this beer, also available at the LCBO, for a weekend at the cottage or as your reward for mowing the lawn. Much of the strangely restrictive beer environment in Ontario can be traced back to decisions made in the 1930s post-Prohibition era. Avoiding the dark ages, brewer Ian McMartin fires up the flux capacitor on his DeLorean and takes us back to a simpler time — the 1920s. This beer is brewed with traditional style and attention to local ingredients. A hint of smoke and a crisp profile give it personality. Pairs best with a cool summer eve after a day of hard work in the sun.